A classic leather jacket will never go out of style and will serve you well for many years. You may also want to go trendy by getting one that is in step with the Fashion Trends with the fashion trends. There is no question that plus size leather jackets make a distinctive statement about your attitude and lifestyle. A well-chosen leather jacket can become the crowning glory in your wardrobe that makes everything look edgier. This type of apparel also draws attention, so if you’re the shy, retiring type stick with a non-committal cotton coat. Those who like to walk on the wild side, however, often find that plus size leather jackets communicate what they want to say without words. You should walk into your endeavor to buy a jacket with one reality check: these coats are not cheap. In fact a good leather coat could put you back over $500 for something that’s made really well. Nonetheless, that very same coat could (and should) last for decades of wear. About the only way to get the price tag down is by hunting through 2nd hand stores, consignment shops or auctions. Even then get to know your jackets before you buy. 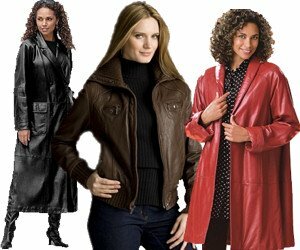 Knock off plus size leather jackets simply won’t hold their shape like a better model. So what about the overall style for your jacket? These coats come in more than one cut including the Double Rider, Moto and Bomber (which are probably the most popular). The double rider has a late 1920s appeal. Think a slick, swag Marlon Brando that’s not afraid of rebellion and you get the idea. This jacket was typically worn by motorcyclists, so it has very practical features. The most distinctive part of the Double Rider are large lapels that snap and irregularly placed front zipper. While the attitude it illustrates is big and bold, overall this is a somewhat casual jacket that’s comfortable. A moto plus size leather jacket is sometimes called a Café Racer. It’s a “sized-down” version of the Double Rider – having discarded the flaps and belts. This make the Moto very sleek and sassy, and not quite as retro ad the Racer. This type of jacket suits someone whose mojo isn’t quite up to Brando, but certainly has some authority in their proverbial back pocket. Bomber jackets, as the name implies, were originally designed for pilots. These are really warm, perfect for regions with harsh winters thanks to often including a zip out fur lining. The bomber works in a lot of different social settings and is perhaps the most versatile of styles out there. 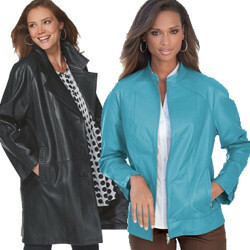 Now, that’s not to say you won’t find other types of plus size leather jackets. One example is a college jacket made for sports teams. These don’t have the hefty cost of the other jackets discussed here, but they’re also lighter weight and not always 100% leather. This is a good purchase if you’re looking for street-smart casual. This is also a good time to talk about types of leather on the market. Stiff leather includes cowhide and horsehide. Unlike calf skin, it’s not very soft to the touch but it endures the test of time. Goat is also softer than cowhide and offers great versatility. 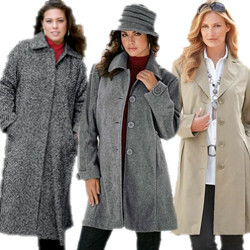 Lamb is perhaps the softest of the lot, and if you don’t like heavy coats, this is the plus size leather coat for you.